What Down Payment Assistance, Loan Options & Grants are available in 2018 ? As the years go by so do the different payment programs. I will try and update my posts as best as possible to give you the most up-to-date information. Many 1st time home buyers ask me about the different programs. Here are my 3 tips for down payment assistance, loan options and grants in Illinois 2018. This program has been around for a long time at least for the last 6 years maybe more. The program is for 1st time homebuyers. As long as you have NOT owned a home in the last 3 years then you would be considered a first time home buyer for this program. However, there are targeted areas where this doesn’t apply. The home you buy must also be your primary residence, so no investors. Most importantly there are income restrictions that apply, you must make sure you are within these income limits or else you won’t qualify. For example a family size of 1-2 cannot make more than $94,800. A couple of things to note when getting down payment assistance is that your mortgage interest might be a bit higher and you will have to repay the money back if you sell the home within five years. Next up we will talk about the grants in Chicago as far as I know there is only one right now. Grants are pretty tough to come by when buying a home. 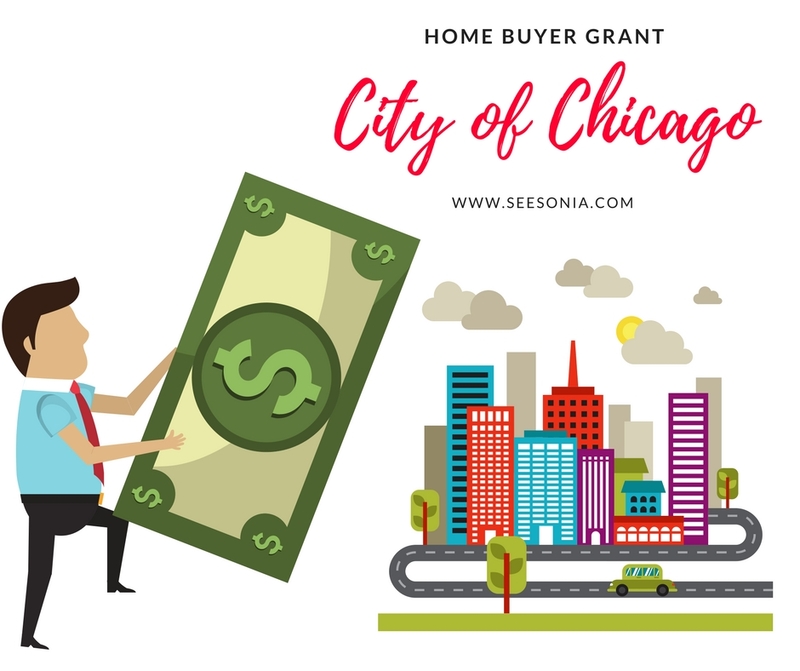 The City of Chicago has a program to help with closing costs and down payment. You can get up to 7% of the total amount of the loan purchase. There are income restrictions. There are a million loan options out there for you. This will be specific only to your situation as there are combination of things you can do especially if you have co-signer. Some mortgage brokers have their own in-house underwriting to which they can create certain programs that can meet your criteria as a home buyer. The problem is that as a first time home buyer you might not know what questions to ask the broker. In general most lenders have FHA, USDA & Conventional loans but they can vary slightly. One lender told me he has a 3% conventional loan with no P.M.I. (private mortgage insurance), and no origination fee (An origination fee is an upfront fee charged by a lender for processing a new loan application). Another lender told me, she has $10,000 down payment assistance but only for Veterans. There is a bank that was giving $3,000 in down payment assistance only in certain targeted areas and was also giving $745 toward closing costs. What programs do you have aside down payments assistance? How much are your origination fees? Do I have to pay P.M.I (private mortgage insurance)? Do you have other loan products with lower down payment? Do you have other programs with a lower rate interest rate? Will you be selling the loan or holding it within your system? If you have additional questions don’t hesitate to email me [email protected] . These programs are first come first serve, I will be updating this post as new options become available.